To start with I would like to say what this will not fit. This cap is the 1st version, probably 30 years old. 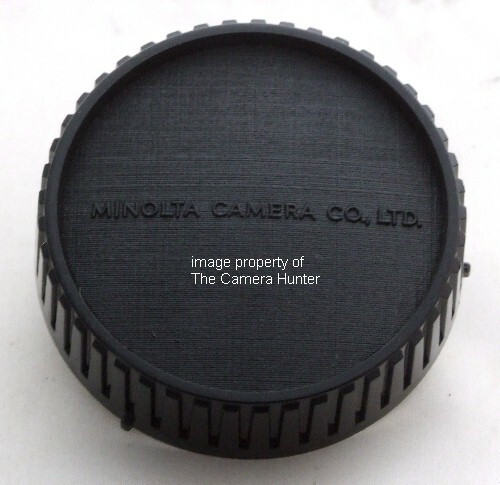 Long before Konica and Minolta joined forces and long before Sony bought them both. This will not fit any auto focus camera, not a Konica, not a Maxxum, and not a Sony. 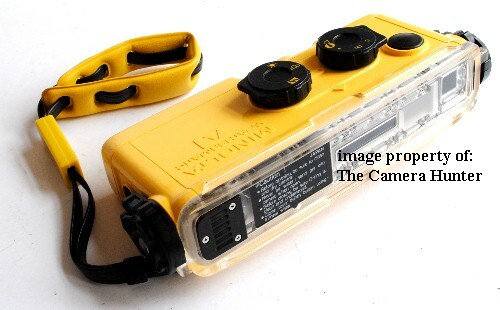 It only works on the Minolta MC or MD cameras. Some of these are all the SRT cameras, all the X series like the XD, XG, X-370, X-570, X-700, etc. To start with I would like to say what this will not fit. This cap is the 1st version, probably 30 years old. 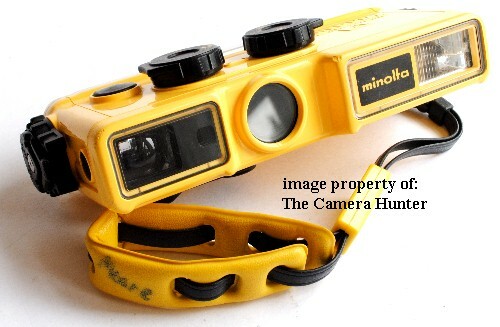 Long before Konica and Minolta joined forces and long before Sony bought them both. This will not fit any auto focus camera lens, not a Konica, Not a Maxxum, and Not a Sony. It only works on the Minolta MC or MD lenses. Some of these are all the SRT cameras, all the X series like the XD, XG, X-370, X-570, X-700, etc. 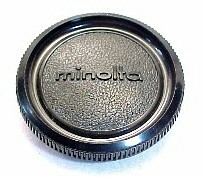 Here is an original rear lens cap for all manual focus Minolta camera lenses. I know some people are sticklers for original equipment, this one’s for you! This is a multiple item listing so the cap you receive will be slightly different then the one pictured but I promise you they are all very clean and nice original caps MADE IN JAPAN. 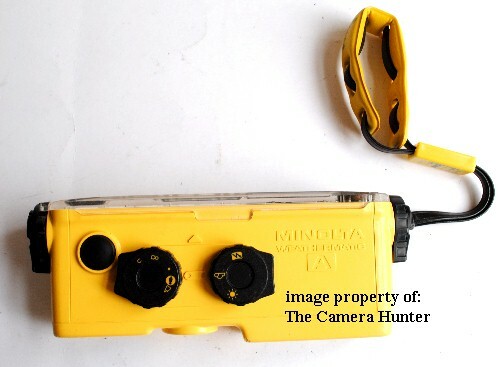 Here is a sleek, skinny underwater camera made by Minolta. 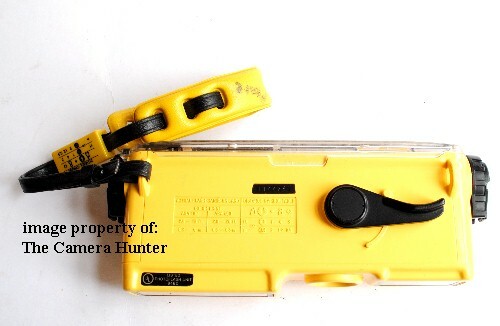 The Minolta Weathermatic A underwater film camera takes 110 film and has been thoroughly cleaned, tested, and checked. It works and is ready to go! Take a gander at the photographs so you can see exactly what you will be getting.